iPad Concept Images Copyright 2017, iDrop News. 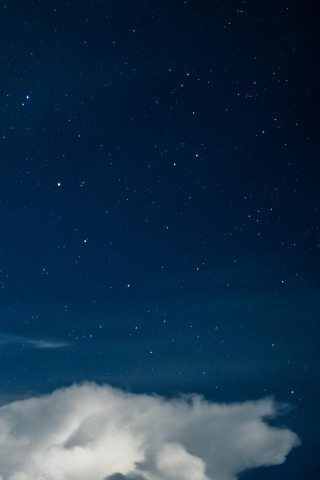 Attribution required. Following the break-out success of its radically redesigned iPhone X flagship, Apple is now rumored to be working on an all-new, next generation iPad model that incorporates many (but not all) of the tenth-anniversary iPhone’s most exciting new technologies and dazzling design hues, according to a Bloomberg report published earlier this week. 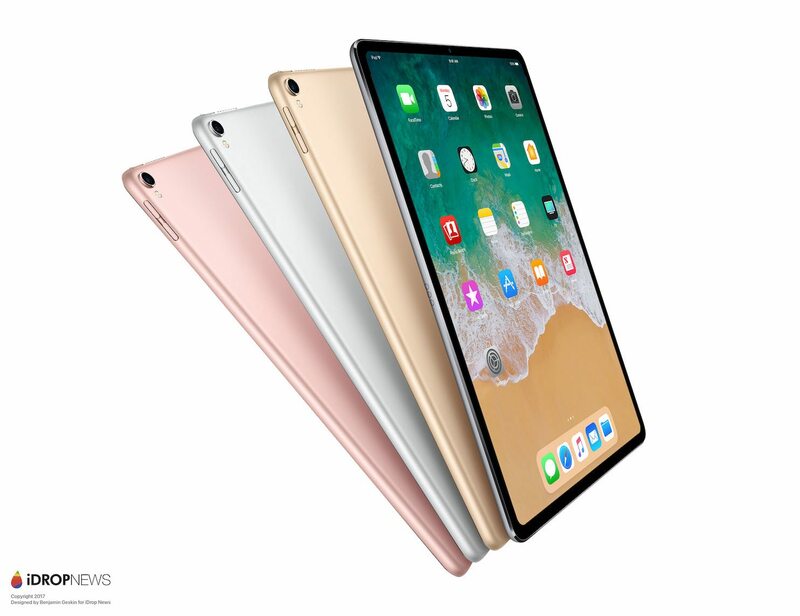 Citing sources with knowledge of Apple’s plans who requested anonymity due to the “private” nature of the company’s product development, the report goes on to claim that Cupertino is gearing up to release at least one new iPad model boasting a screen similar in size to the company’s latest, 10.5-inch iPad Pro. 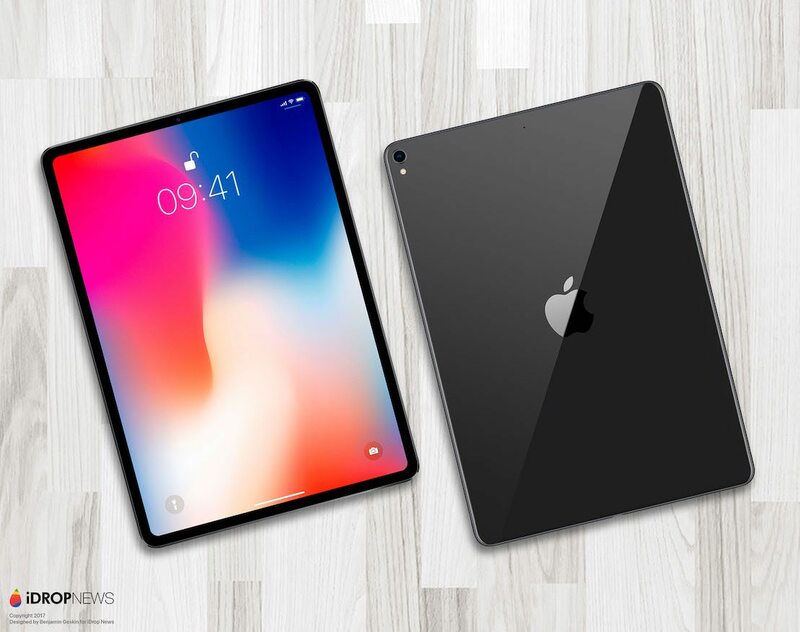 The tablet will also feature a design similar to the iPhone X, not only incorporating the handset’s gorgeous, thin-bezeled and edge-to-edge display, but will also axe the iconic iOS Home button. 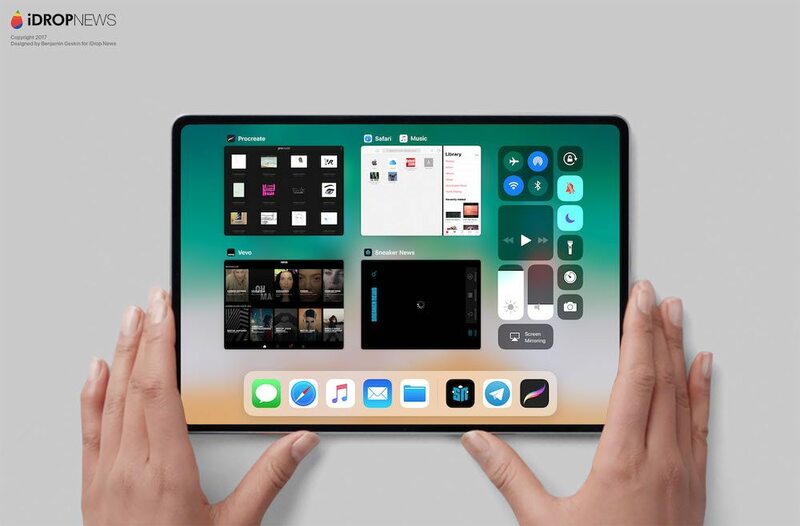 Accordingly, the display will likely entail that the iPad look like a giant iPhone X. 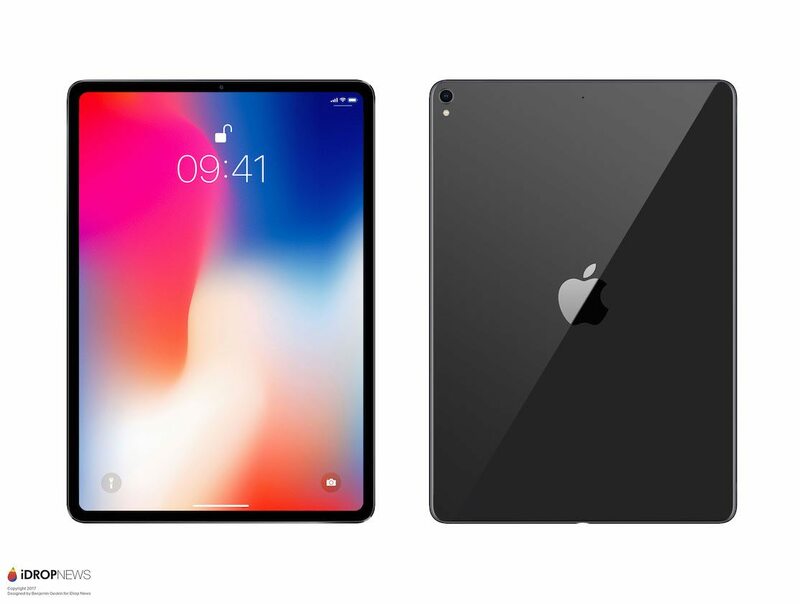 Unfortunately, citing a number of unspecified “technical and financial constraints,” it’s unlikely that Apple will be able to secure OLED display panels for the new iPad in time for its unveiling. Specifically, the report talks about how Samsung Display Co. is currently the only OLED supplier with the capacity to help Apple. However, given the amount of time it would take to get OLED production underway, it’s just highly unlikely we’ll see Apple release a large OLED screen anytime soon (though it definitely will in the future). 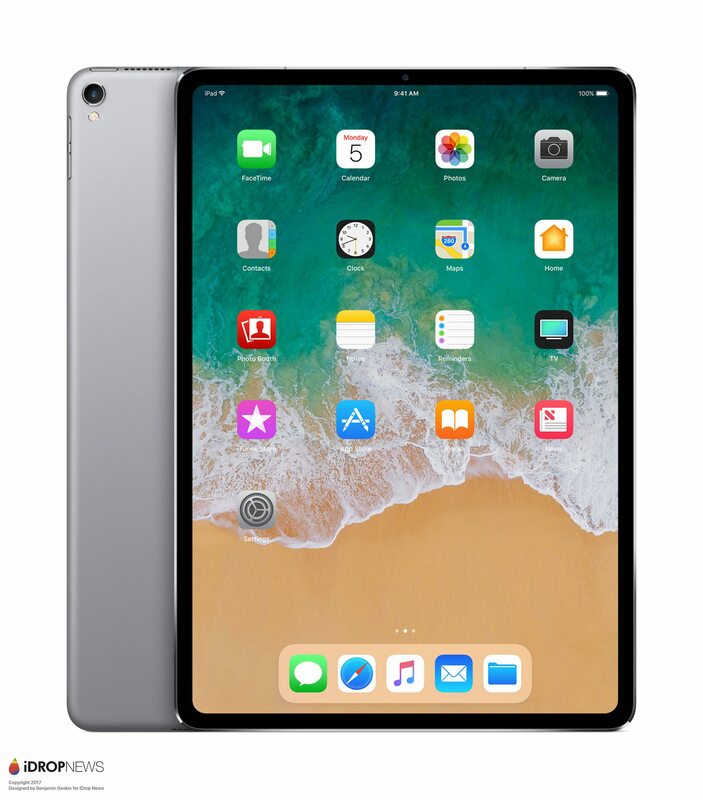 The new iPad is also rumored to incorporate Face ID, Animoji, and other key 3D and AR imaging features thanks to the inclusion of a TrueDepth camera system in place of the Home button. 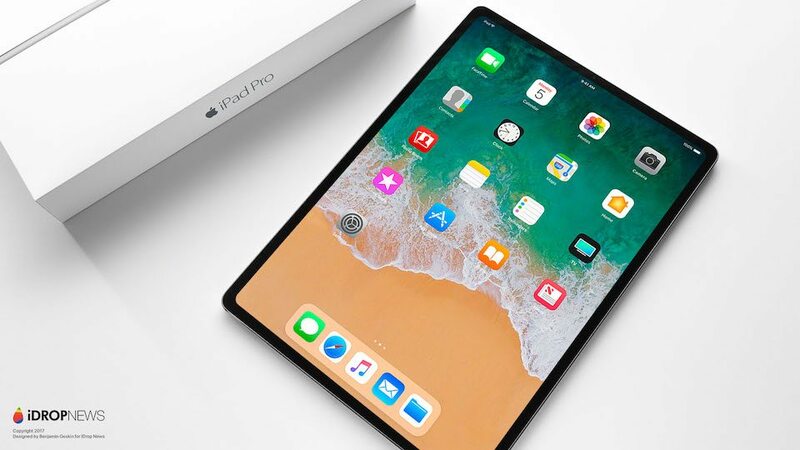 The new iPad deign will likely include the same ‘notch’ configuration as the iPhone X, accordingly, however it’ll certainly be interesting to see how the feature works on such a huge display. 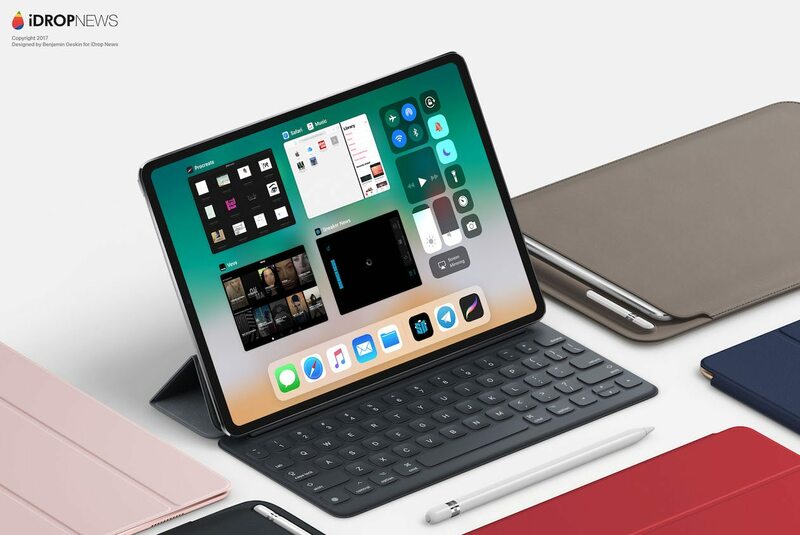 As far as internals, sources say the new iPad model will boast a more powerful processor in addition to a custom Apple-made GPU unit — perhaps an A11X, if history is any indication — which should bring the iPad’s performance more in-line with desktop computing solutions. That’ll certainly be interesting to see, too, especially considering how the company’s A11 Bionic has already put its own MacBook Pro to shame. 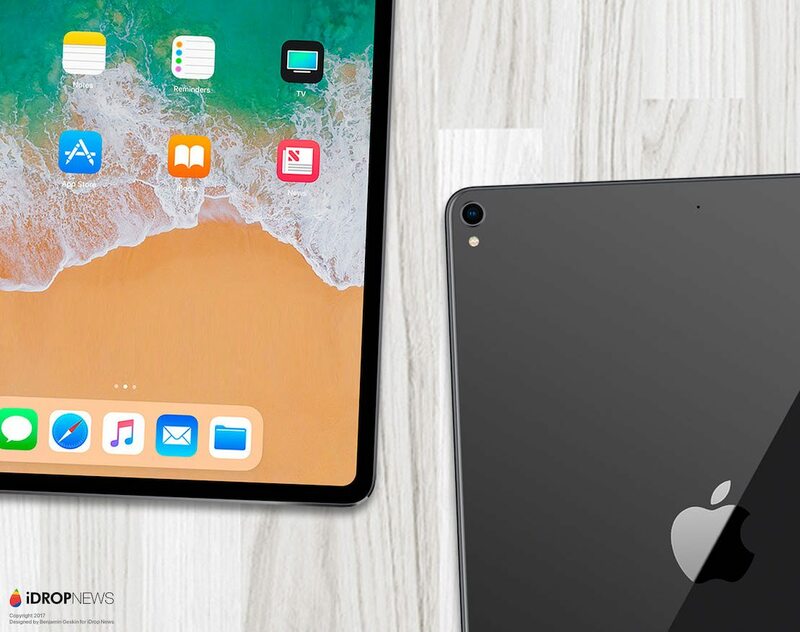 Above and beyond these key details, the report suggests we could see the new iPad model sometime in 2018, if all goes according to plan. 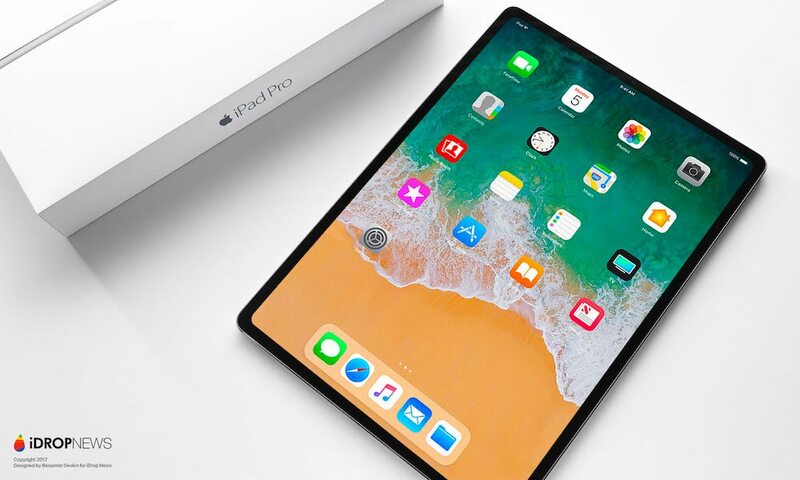 Apple is also said to be working on a second-generation Apple Pencil device, which could launch alongside the new iPad; however the company, unsurprisingly, did not respond to Bloomberg’s request for additional details. Unfortunately, today’s report is mum as to whether the iPad will boast ‘the notch’, as it’s come to be referred on iPhone X. Functionally, the notch is necessary to house advanced components like the TrueDepth camera — so from that standpoint, it’s only reasonable to assume it will feature the notch in a similar configuration, also. 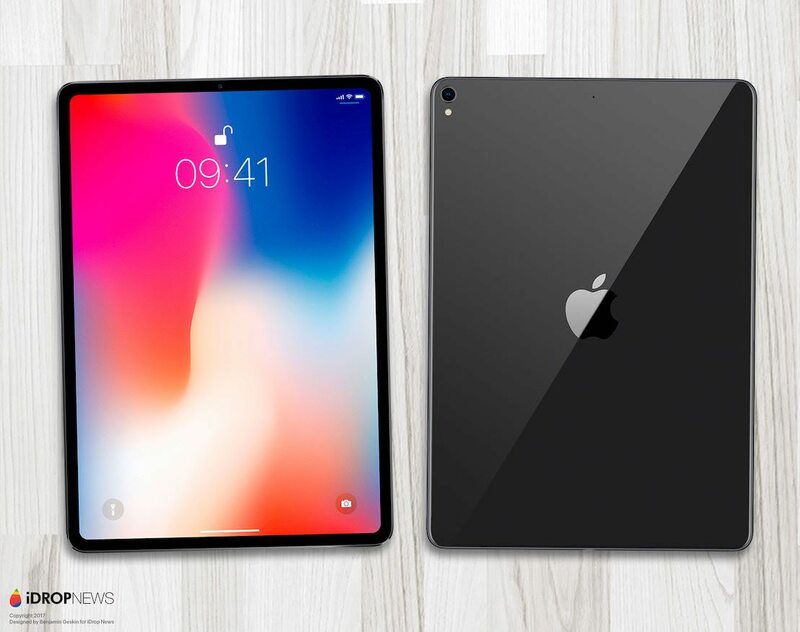 However, as you can see in our concept renders, Apple might be able to take advantage of the iPad’s larger size, thickening the bezels slightly so as to make the notch flush with them. It’s highly unlikely that the iPad will feature wireless charging capabilities like iPhone 8 and iPhone X. While recent acquisitions hint that Apple is working on a powerful new wireless charging protocol that would allow devices like iPad and MacBook to be charged from a distance, it’s still unlikely the tech will be ready in time for next year. Still, Apple will almost certainly implement the same fast charging capabilities present in its latest iPad Pro models. 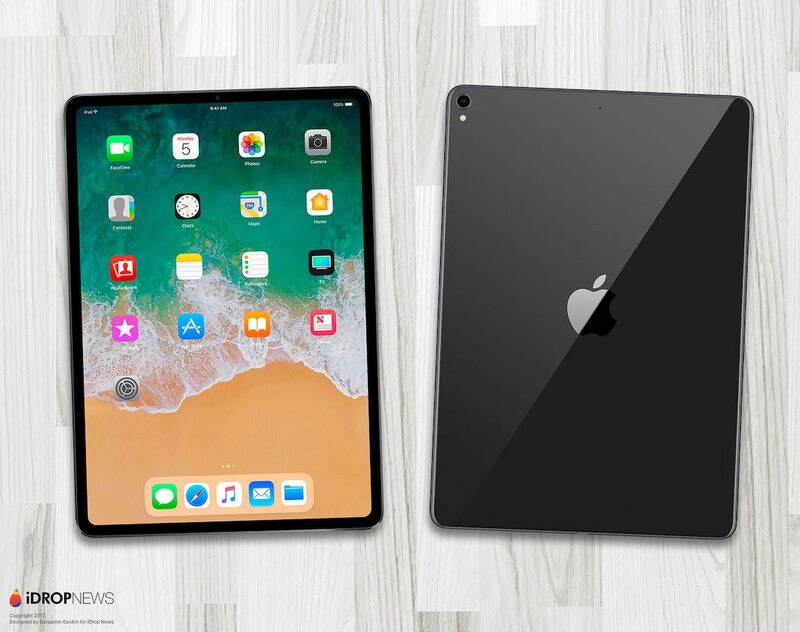 According to our good friend and historically accurate tipster, Benjamin Geskin, we can expect the iPad model to boast an Apple A11 CPU — which would be consistent with the company’s history of equipping iPad models with the X-variant of its latest A-series silicon. Additionally, we can expect the iPad to feature water resistance at least on par with iPhone 7 and 7 Plus, which would make it Apple’s first waterproof iPad. 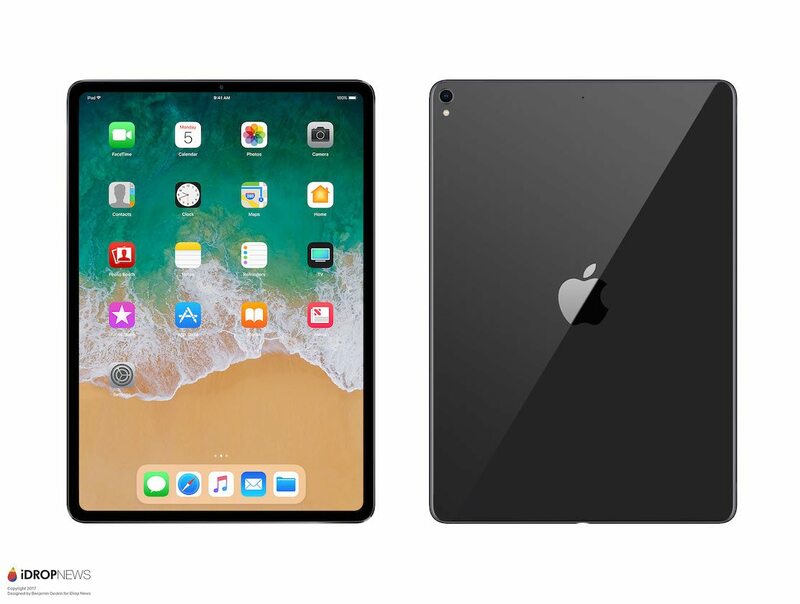 While Bloomberg’s sources suggested we can expect Apple to announce the new iPad model sometime in 2018, they understandably provided no guidance on what it might cost. 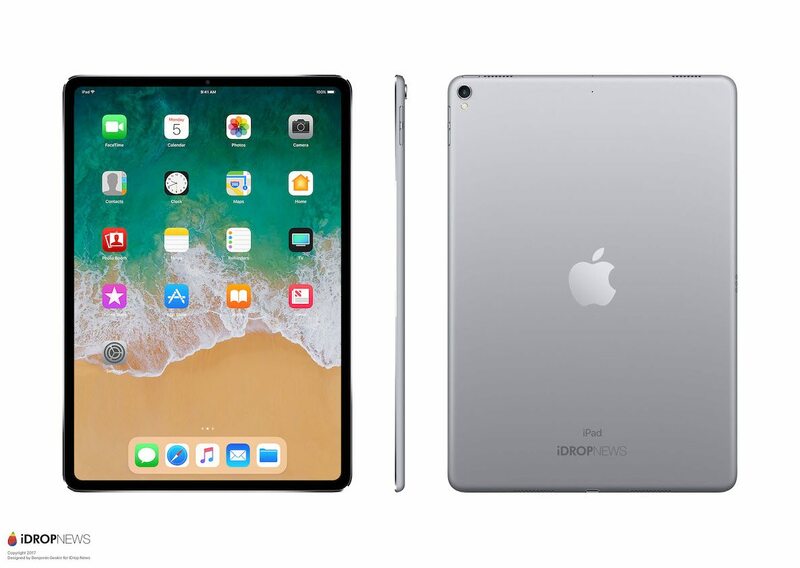 Realistically, however, simply considering the technology onboard, we’d venture to guess that the edge-to-edge iPad will retail for around $125 to $175 more than its latest 10.5-inch iPad Pro.